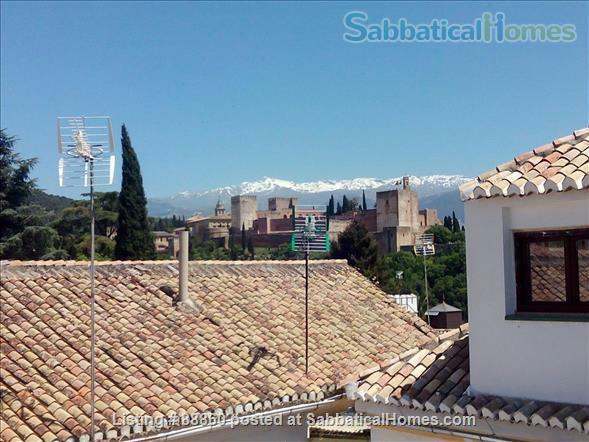 Beautiful family house in the Albayzín, historic neighborhood of Granada (Spain). 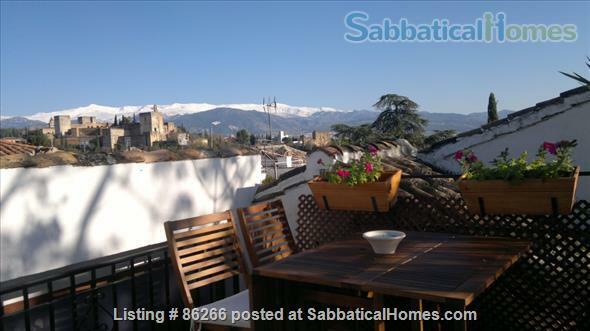 Terrace with magnificent views and typical patio of Granada. It has three bedrooms, two bathrooms, living room, kitchen and study room. Only 10 minutes walk to downtown and universities. 15 minutes walk to the Alhambra. Neighborhood with all the necessary services: supermarkets, restaurants, etc. Bus stop next to the house. Hello, my name Nieves, born in Granada. I'm a documentasit and today I do a doctorate in medieval archeology. My husband is a lawyer. We live on the house next door and we have two children 18 and 13 years. Our great passion is travel. We consider privileged to live in this place because we have tranquility and beautiful views and we have a very good location and accessibility from the city center.